Posted By:Unknown | At:4:45 PM Be the first to comment! 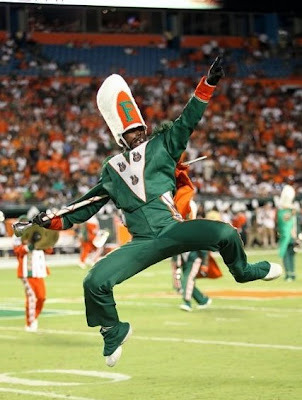 ORLANDO, Fla. (AP) – Florida A&M University said that it's dismissing four students for their role in the death of a marching band member last month, while audio of an emergency call released Thursday showed that the drum major had vomit in his mouth in the moments before he died. University President James Ammons referred to the dismissals in a memo he sent earlier this week to members of the FAMU Board of Trustees, but didn't specify what the four students did. Authorities say hazing played a role in the death of Robert Champion, but they have not released any more specifics as they continue to investigate. Ammons says in his memo that the university has a zero-tolerance policy on hazing, then states: "I want to report that four students have been dismissed from the University in connection to the Robert Champion incident." The 26-year-old Champion was found unresponsive Nov. 19 on a bus parked outside an Orlando, Fla., hotel after the school's football team lost to a rival. In the 911 recording obtained by The Associated Press, an unidentified caller told the emergency dispatcher that Champion had stopped breathing and was unresponsive. Champion had just thrown up, the caller said before handing the phone to a second man. "We need an ambulance ASAP," the first caller said. "His eyes are open but he's not responding." The dispatcher told the second man to place Champion on his back and clean any vomit from his nose and mouth. But the call was disconnected before the caller could say if he was successful. Before the call ended, the man told the dispatcher he was going to attempt to resuscitate Champion. He also is heard ordering another man to get a defibrillator from inside the hotel. "He is cold," the second caller said. The owner of the company that transported members of the band known as the Marching 100 told the AP Thursday that the driver did not hear or see any commotion on the bus before Champion collapsed. Ray Land, president of Fabulous Coach Lines, said his company has transported the band to many games and never had any incidents of hazing or inappropriate conduct on the buses. The driver was helping students unload their instruments outside the hotel when Champion collapsed, Land said. He said the driver is shaken up over what occurred and that their experience with the band has always been positive. FAMU's band director, Julian White was fired as part of the fallout over Champion's death. Ammons also suspended the Marching 100. FAMU says it will conduct an independent review, but the group that oversees the public university system in Florida says it also will carry out an investigation into whether FAMU ignored past warnings about hazing. Florida Gov. Rick Scott asked Thursday that the state university system have all 11 universities review anti-hazing rules. White has documents that he says he sent to university officials over the years regarding hazing. But Ammons said in his letter to the trustees that he did not receive two recent letters from White regarding hazing until after the university had already fired him. He also wrote that he met this week with a group of students who were protesting the decision to suspend the entire band. He said he has promised to meet with the entire band sometime this week. Ammons said he could not talk much about Champion's death because of the "potential for lawsuits" but he also expressed concern about the negative publicity surrounding Champion's death. He said that he was trying to overcome past bad publicity regarding the university's handling of finances and its academic reputation. "Preserving the image and the FAMU brand is of paramount importance to me," he wrote.